Long Lake is a great year-round destination for a family looking to ski without breaking the bank. 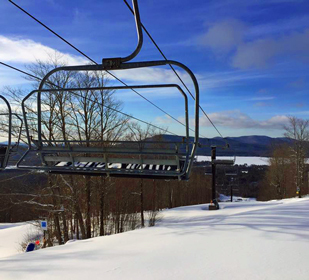 Stay in Long Lake and enjoy easy access to Whiteface Mountain, home to the 1980 Olympics, Gore Mountain and for affordable family fun check out Oak Mountain in Speculator and McCauley Mountain in Old Forge. Long Lake is central to all these skiing options. Check out other smaller family friendly mountains in Old Forge, Indian Lake and Newcomb, ranging from beginner mountains to expert slopes. Long Lake is a great central location for your winter getaway. Plan your ski vacation today. Ski Gore on a Wednesday. Whiteface on Thursday, Big Tupper on Friday and McCauley, Oak or Titus on Saturday and guess what, you’ve avoided the lines and had a great week of incredible Adirondack Skiing. Take advantage of mid-week rates at the Long Lake Area Lodgings Long Lake is centrally located to all the best area ski resorts and you won’t break the bank. 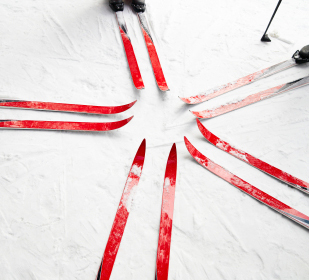 Avoid the lines and maximize your time on the slopes! Stay in Long Lake! 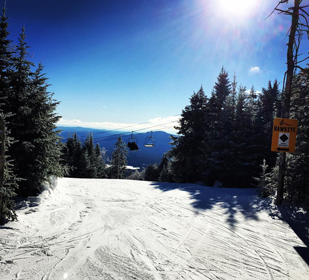 The Adirondacks – the best skiing in the Northeast! 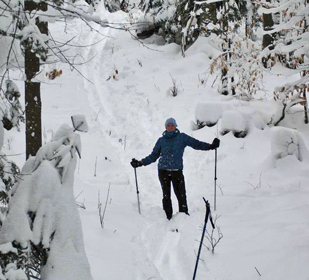 Destinations for the x-c skier in Long Lake include the Lake Eaton Campsite Loop, Burn Road out in the Whitney Wilderness, 3-Brook Loop along the Northville-Lake Placid Trail, Sargent Pond Loop down North Point Road, Lake Lila Road to Mt. Frederica in the Whitney Wilderness, Round Lake in the Whitney Wilderness. 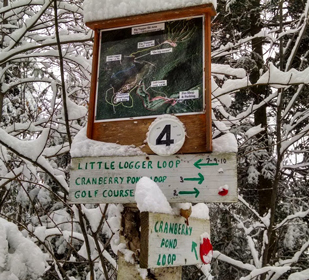 For Groomed Trails with a Great Camp Destination, check out Santanoni in Newcomb, NY. 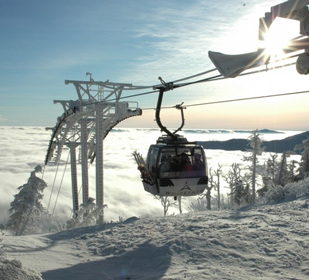 Gore Mountain is a premier family ski resort in upstate New York, nestled in the Adirondack Mountains. We provide more skiable acres than any other mountain in the state, and with 2,537 feet of vertical, we offer plenty of cruisers, steeps and glades to satisfy any level of skier or rider. Plan your ski vacation today. Ski Gore on a Wednesday – check websites for mid-week deals – Whiteface on Thursday, Big Tupper on Friday and McCauley Oak or Titus on Saturday and guess what, you’ve avoided the lines and had a great week of incredible Adirondack Skiing. Take advantage of midweek rates at the Shamrock Motel and Cottages at 518.624.3861. and other Long Lake Lodgings. Long Lake is centrally located to all the best area ski resorts and you won’t break the bank. You’ll save on lodging and have a week of memories you can’t forget! New York’s friendliest mountain for skiing and snowboarding is just around the corner at Oak Mountain. Families can enjoy affordable winter sports and learn to ski and ride with outstanding ski instructors. Other winter fun options include snow tubing and snowshoe trails. Join generations of New York folks from Albany, Utica, Johnstown, Amsterdam, and New York City who love visiting Oak Mountain. Whiteface may have made its name in winter—it has the highest vertical drop in the east, after all—but it does summer pretty well, too. Standing on its summit, you’ll gaze out at the Adirondack Park. Six million acres—more than Yellowstone and Yosemite combined—thick with white pines and glistening with crystalline lakes and meandering trout streams. Around you stand New York’s tallest peaks. To the east, Lake Champlain and Vermont’s Green Mountains, and below, the towns of Wilmington and Lake Placid, the Olympic Village. The Long Lake Area boasts an incredible amount of backcountry trials with varying terrain. Popular favorites include the Three-Brook Trail, access is off of Route 28N (Newcomb Road) It follows the Northville Lake-Placid trail for about 2 miles, forms a loop and returns. Other popular trails include the Sargents Ponds, a great excursion for a family group with young children and an excellent opportunity to ski through the woods on well marked, fairly level pathways. Separate trails lead to Upper and Lower Sargent Ponds are reached by taking Route 28N/30 south from the Long Lake Village to the intersection with the North Point Road. Continue past Buttermilk Falls and the Forked Lake Campsite Road to access the trail head. For more information on x-c ski trails. Please contact us via email through our contact us page. Even though we invite you to stay in Long Lake at a cozy cottage rental or a cozy motel or hotel overlooking the vista’s of Long Lake, there’s plenty to do in our neighboring communties. 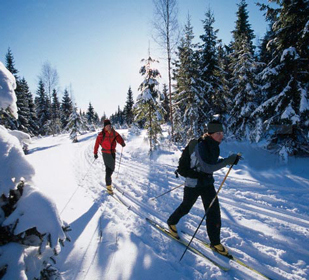 Discover terrific groomed x-c ski trails in Tupper Lake. Check out their website for info and conditions. To find groomed x-c ski trails close to Long Lake (stay here/ski there) check out the groomed trails off the Tupper Lake Golf Course. 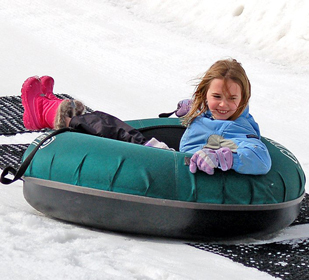 Tubing is an all-around winter experience for all ages. Try tubing at Mt. Sabattis in Long Lake, NY. While not a traditional tubing hill (meaning we don’t have lifts to our tubing launch) it’s a fun hill, with safety berm built in and best of all it’s free.